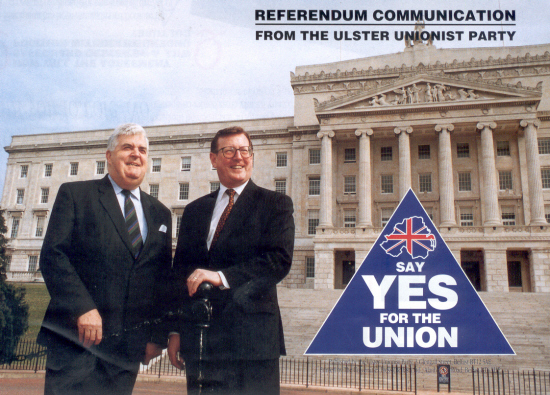 ‘Say Yes For The Union’ an Ulster Unionist Party Leaflet in favour of the Good Friday Agreement. Pictured outside Stormont are David Trimble and John Taylor.The UUP portray the Agreement as good for The Union. The change in articles 2 and 3 of the Constitution (The Republics ‘illegal territorial claim‘) get a good mention as do plenty of other key phrases like securing the Union.